These soft, Kimwipes effectively clean dust, smudges, dirt and chemicals from lenses. 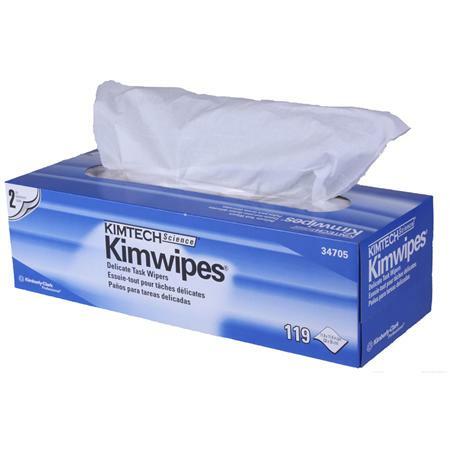 Kimwipes offer a pop-up dispenser box for handy use on display counters. 119 2-Ply Wipers. Size: (11.8 x 11.8").